You could say I've always been a gadget freak. As a kid, I hounded my parents to buy me this super cool projection unit I saw advertised in one of my comic books. It was called a "Magnajector," and you could use it to project images of magazines, books, etc. on a wall. I would get my latest copy of "Famous Monsters" magazine and wow -- there was the Wolf Man on my bedroom wall! Well let me tell you, those projectors have come a long way. This week, I've been trying out the AtmosFX Digital Decorating Kit. Let me say this: It puts the Magnajector to shame. The AtmosFX projects holographic and animated images, just like you see in the movies, on walls, ceilings -- just about any surface, or even, "thin air." The real magic happens when you rear-project the AtmosFX images onto a screen affixed to a window. 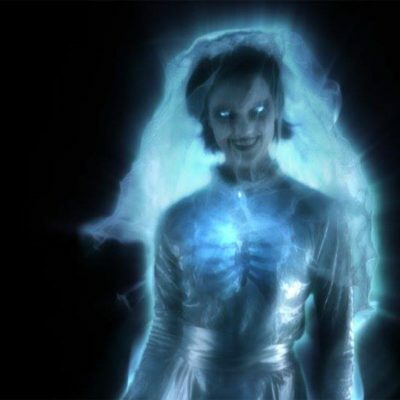 To anyone passing by, zombies or ghosts have taken over. 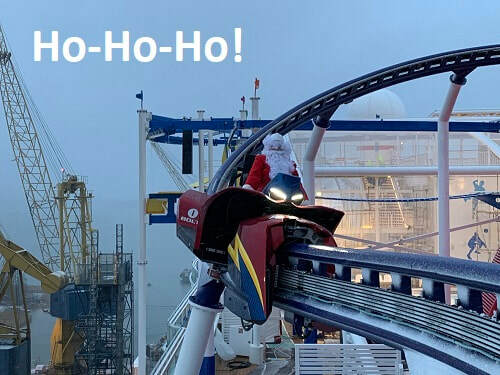 Or depending on the time of year, you could catch a glimpse of Santa Claus delivering presents. Based in Seattle, AtomsFX was founded by MTV alums Pete Reichert and Pete Williams. Along with a team of 20, they produce and market projectors, media players and are the creative wizards behind their animated decorations for all occasions. The Digital Decorating Kit comes with the projector, a remote, tripod, a translucent screen and an SD card with 14 decorations. The setup was easy. You can opt to use the projector either horizontally or vertically. The 14 decorations include scenes for parties, Christmas, Easter and Halloween. Additional scenes are available on DVD or downloaded from their website. 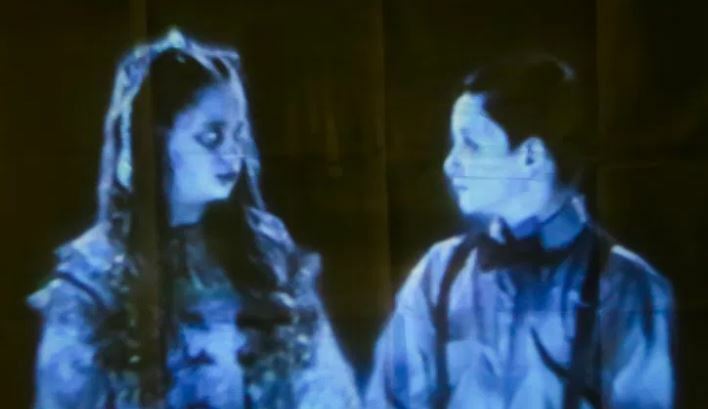 Among the most effective scenes are those for Halloween, where you can project dancing skeletons, a floating spirit and evil twins that will give you flashbacks to "The Shining." The Christmas scenes are also good, as elves decorate a tree and Santa leaves presents by the fireplace. We made good use of the "Party" scene at our granddaughter's birthday bash. Rising balloons and streamers definitely added to the festivities. 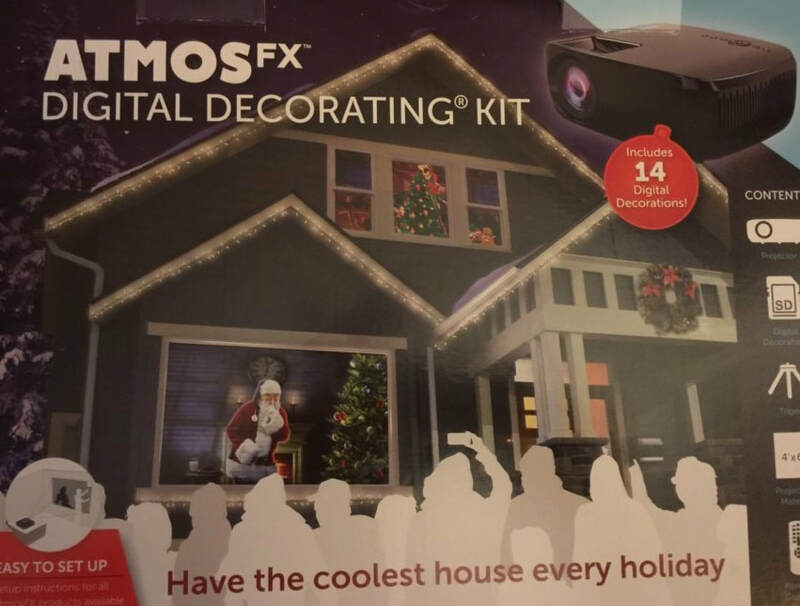 The Digital Decorating Kit retails for $199, but you can use any projector to display their animated images. To learn more, and see the wide variety of what's available, visit the AtmosFX website. Once you have up and running, you will be the "go-to" house on the block. You can have the most festive windows and walls in the neighborhood with these new holiday virtual decorations from Atmos. 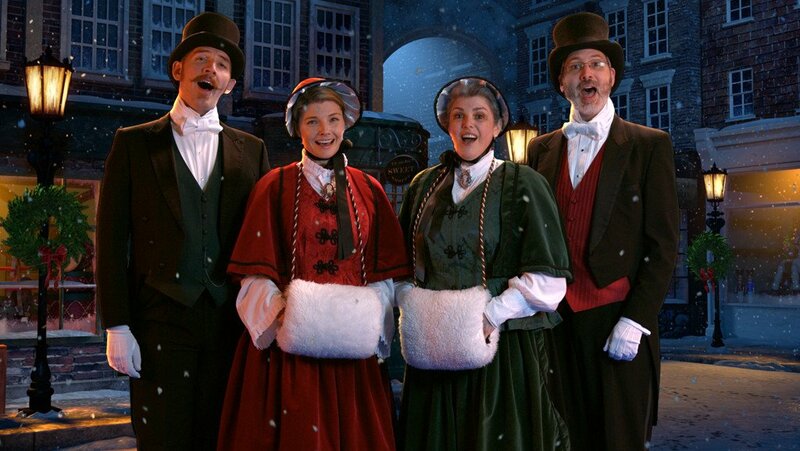 A quartet of Christmas carolers will entertain you and your guests with traditional favorites. 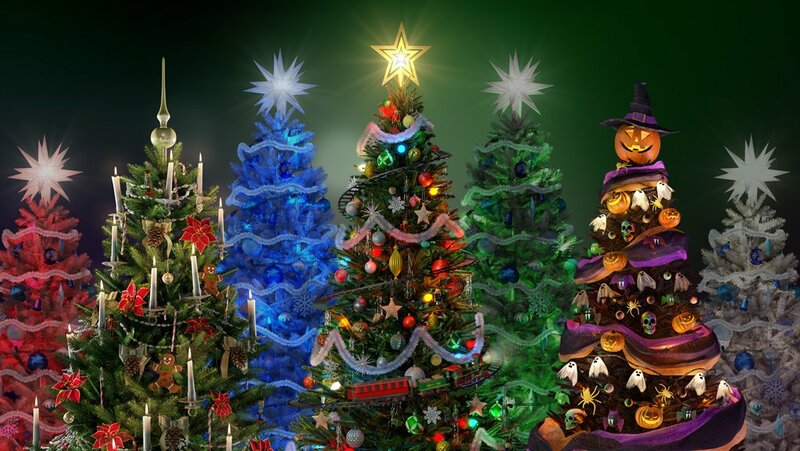 Then pick your favorite Christmas tree, from Victorian to retro funky. There's even a Halloween-themed tree with spooky sound effects. You can view their complete line of holiday and winter decorations on the Atmos website.